The Danube is Europe's second longest river, after the Volga. 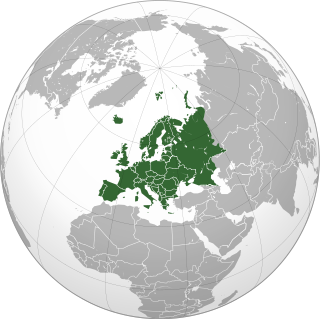 It is located in Central and Eastern Europe. 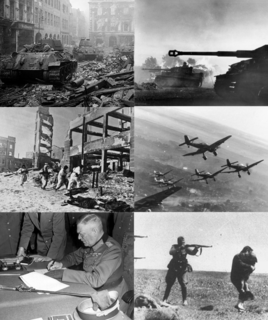 The Lower Silesian Offensive was a Soviet offensive on the Eastern Front of World War II in 1945, involving forces of the 1st Ukrainian Front under Marshal Ivan Konev. 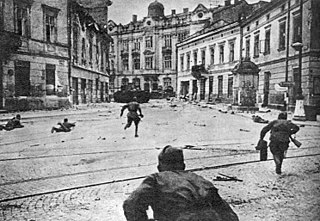 It cleared German troops from much of Lower Silesia and besieged a large German force in the provincial capital, Breslau. 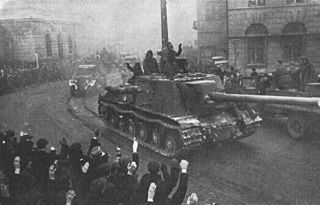 The offensive began on February 8 and continued until February 24, when the Soviets ceased their offensive having captured a small bridgehead across the Neisse River near Forst. 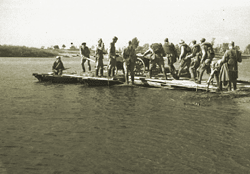 The offensive directly succeeded the Vistula–Oder Offensive, in which Konev's troops had driven the German Army Group A from Poland, liberating Kraków and taking bridgeheads over the Oder River. The 9th Mechanized Corps was a mechanized corps of the Soviet Red Army, formed twice. 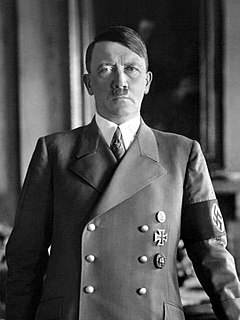 It was first formed in November 1940 and disbanded in September 1941 after suffering heavy losses. The corps was formed again in August 1943 at Tula. The second formation fought with the 3rd Guards Tank Army. 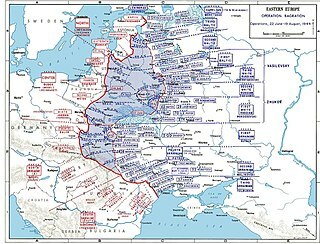 It participated in the Battle of the Dnieper, the Battle of Kiev (1943), the Dnieper–Carpathian Offensive, the Zhitomir–Berdichev Offensive, the Lvov–Sandomierz Offensive. 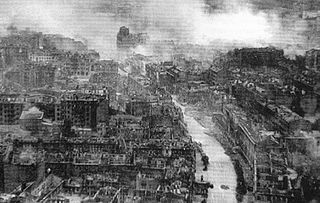 the Battle of Berlin and the Prague Offensive. During the war the corps received the honorifics "Kiev" and "Zhitomir" and was awarded the Order of the Red Banner, the Order of Suvorov 2nd class, and the Order of Kutuzov 2nd class. The 61st Rifle Corps was a Red Army infantry corps during World War II, formed twice. The 61st Rifle Corps was formed firmed in Tula during September 1939. 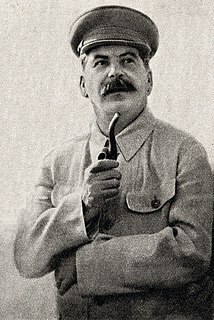 After Operation Barbarossa, it was transferred to the front in Belarus and fought in the Battle of Smolensk. After suffering heavy losses at Smolensk, it was disbanded in early August 1941. 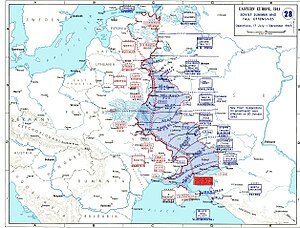 Reformed in spring 1943, the corps fought in Operation Kutuzov, the Lublin–Brest Offensive and the Berlin Offensive. The corps was disbanded after the end of the war in summer 1945. The 7th Guards Tank Division was a tank division of the Soviet Army during the Cold War. 1 2 3 4 Frieser et al. 2007, p. 343.